This very witty, deep and cool name is inspired by the French word “Déjà” meaning “already” as in “Déjà vu”, “already seen”. 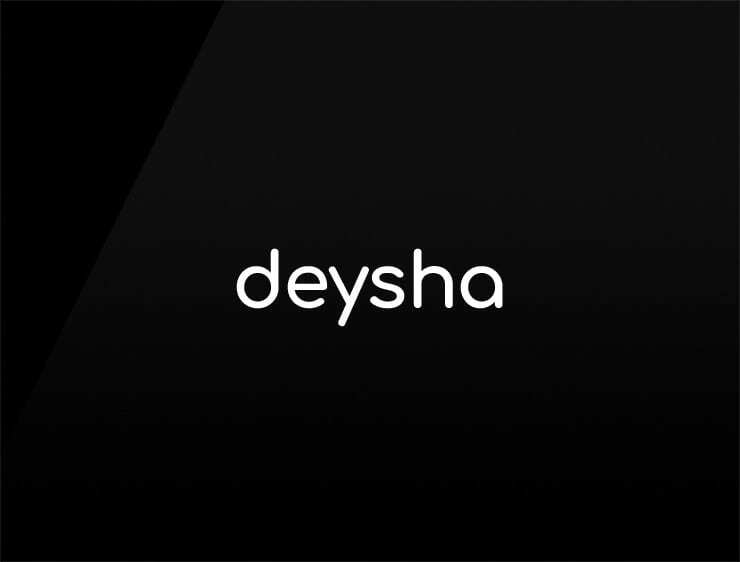 As a company or service name “Deysha” opens up a rich world of possible brand stories. Focusing on the literal meaning “already”, a company positions itself as prepared, in charge, and quick: Alreadiness is all. Focusing on the “Déjà vu”, you position your business along the lines of being “familiar”, “already seen before” and play up the precognition angle when you are working in tech. Possible fits: Artificial intelligence, predictive analytics, machine learning, artificial intelligence. An advertising company. A Consultancy. Fashion. An artist management company. A film company. A dating site.